Claire Lordon Design: Even More Great Tools! I wanted to share some more great information and tools that I have found helpful for my work. The first tool I'd like to share is Cofftivity. Coffivitity brings the sounds and ambience of a local coffee shop wherever you are. It is a quiet hum of changing noise that makes you feel like you're in a coffee shop. This is great to listen to while you work because it gives you some background noise without being distracting. This small amount of ambient noise is great because ambient noise has been scientifically proven to help with the creative process. You can read more on the New York Times Blog. Another great tool I use is Tweetdeck. Tweetdeck is an downloadable application for your computer that helps organize everything on Twitter. You can make your own columns based on your feed, specific hashtags, your notifications, activity, messages, and more. The application is customizable and makes using Twitter feel less overwhelming. One reason I use Tweetdeck is for the weekly #kidlitart chats. They occur every Thursday at 9PM EST with a new topic every week. More information about the history of the chats can be found here. To join in the chat check out the official Twitter account for the weekly topic. Just use the hashtag #kidlitart in all your posts to join in on the conversation. I have found these chats very useful. Topics have included promotional materials, websites, conferences, color, and more! It's a great way to connect with other people in the Kid Lit industry. 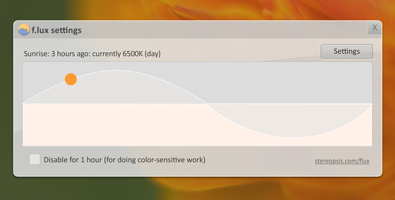 The last tool I want to share today is called f.lux. While it is not necessarily for art and design, I can see how this tool would be especially helpful for writers. f.lux has your computer follow a more natural light pattern. During the times when the sun is down, or partially down, the program changes your computer to emit less blue light. This is to replicate the natural light pattern of the sun and regulate your melatonin levels, which is supposed to help with sleep. Some of you might be wondering if you create digital art that this will mess up your color. While this can be the case, you can turn off the program for any specific application. If I am working in Photoshop late at night I can turn f.lux off for just Photoshop so my color is true. Whenever I click on any other application the orange glow will return. I have found using f.lux has helped me feel less awake and have less strain on my eyes late at night. While I can't say it will work for you it's worth a try. I hope you find these tools helpful! If you have any great tools to share please feel free to leave a comment.